Courbet looked very hard and had a method. Bierstadt did not look very hard and had a method, and de Kooning makes it up as he goes along. I think I relate much more to de Kooning because I look very hard then I make it up as I go along. 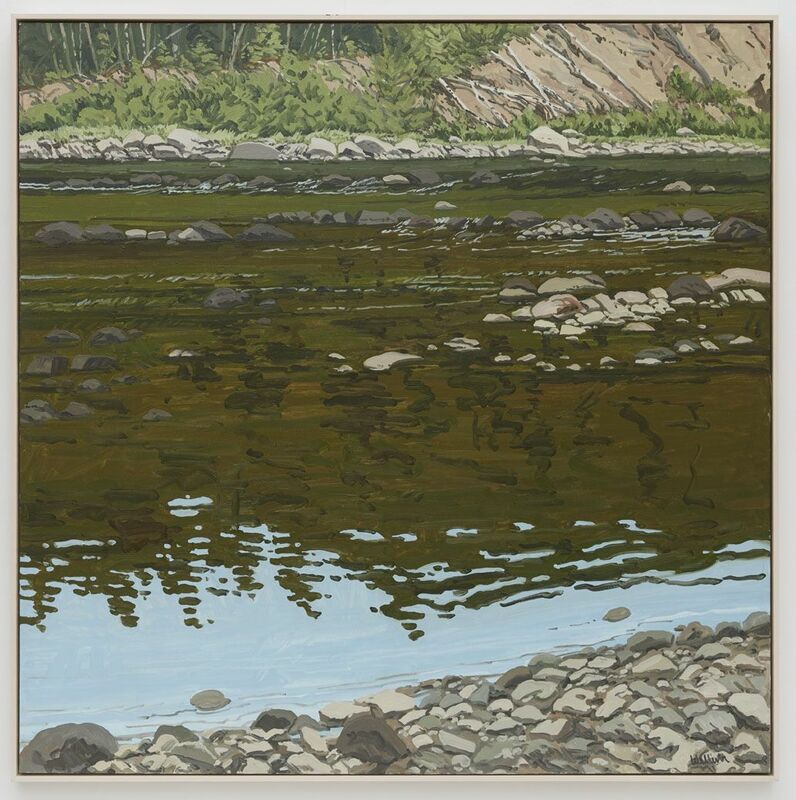 Tibor de Nagy is pleased to present an exhibition of paintings and woodcuts by Neil Welliver. This exhibition will include more than 25 works spanning over three decades of his career. 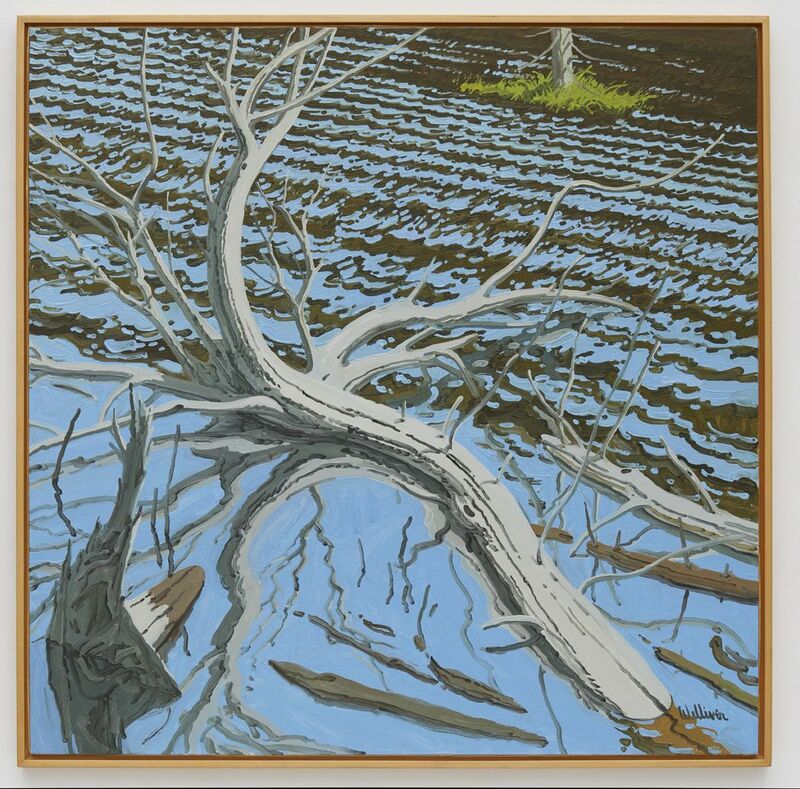 Tibor de Nagy Gallery has had a long relationship with Neil Welliver and first began exhibiting his work in the 1960s and again in the 1990s. This will be first time the gallery has shown Welliver's work since 1999 and the first at the 15 Rivington Street location. The exhibition presents examples of paintings from different periods of Welliver's career. 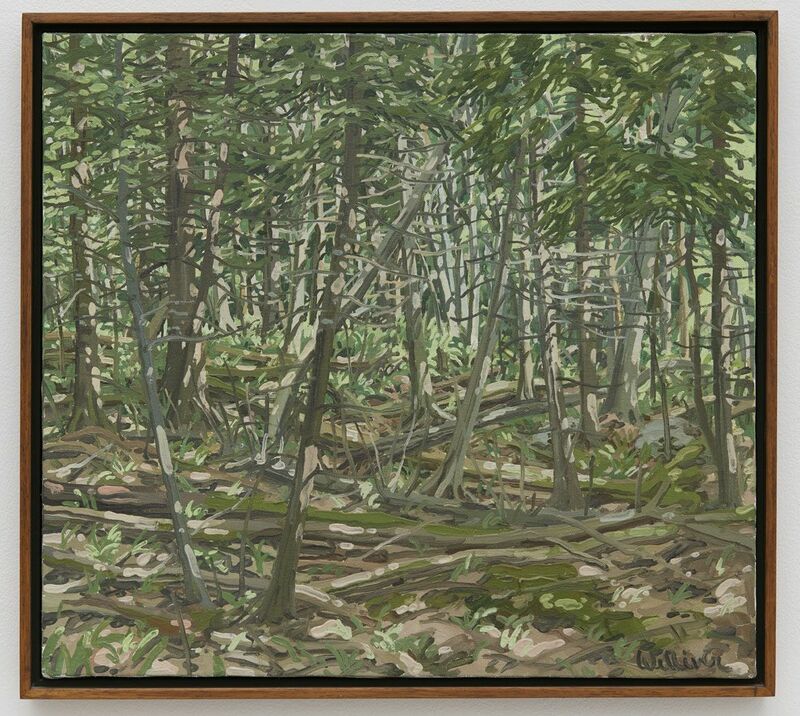 The earliest works date from the late 1960’s, when Welliver first started to concentrate on the landscape as his primary subject matter. In these works from the 1960’s he painted the figure in the landscape, such as nudes in pools of water or wooded areas, and portraits of friends and family. 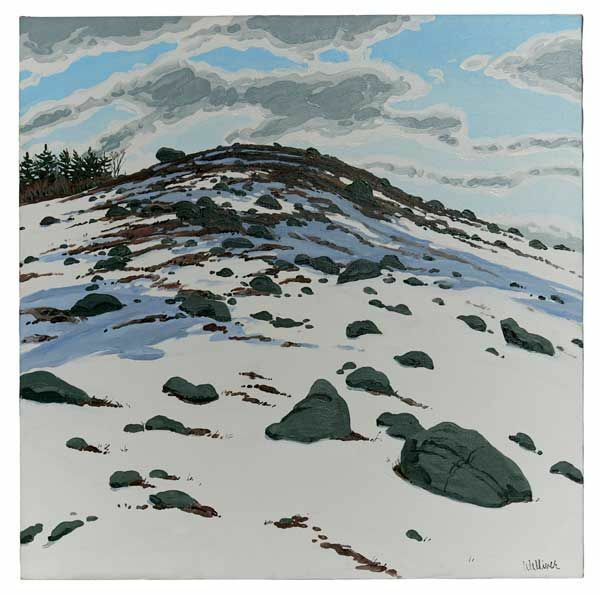 Having studied at Yale with Josef Albers, Burgoyne Diller and other abstract artists, Welliver learned to paint and use color through a rigorous modernist training. He was also influenced by his friends and contemporaries, such as Fairfield Porter, Alex Katz and Lois Dodd, and like them, favored representational painting. Katz and Dodd also encouraged his first visits to Maine which would become his home and the source of his artistic inspiration. The exhibition also includes paintings from the 1980’s and 1990’s, considered his most mature work. It is at this point that figure is removed from the composition, and it is only landscape itself that animates the canvas. 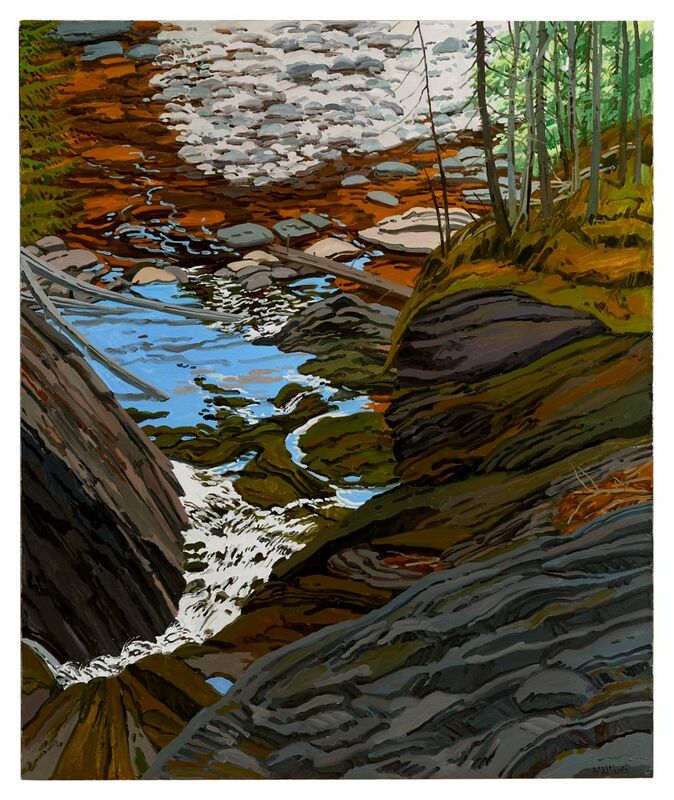 In these works Welliver's distinctively visceral style of painting is on full display. 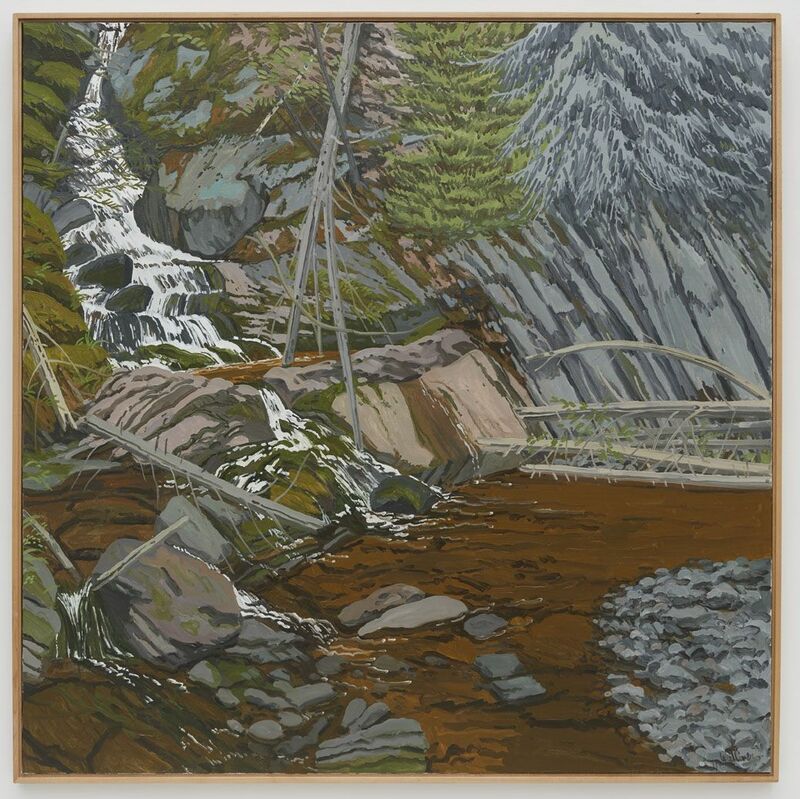 Welliver’s paintings come out of an unusual working process: he painted en plein air in the wooded areas around his home in Lincolnville, Maine; he simultaneously had a studio practice for creating large-scale paintings. Outdoors he made small observational studies in situ and in all seasons, using only 8 colors of oil paint (white, ivory black, cadmium red scarlet, manganese blue, ultramarine blue, lemon yellow, cadmium yellow and talens green light.) He painted in three hour sessions to capture a light condition, usually one study was done over nine hours, in three, 3 hour sessions. The paintings made in the studio are large-scale versions of selected studies. To begin a painting, Welliver enlarged and transferred a charcoal drawing to a canvas with a round spiked pouncing wheel, a technique used by Renaissance artists. The painting was then completed from the upper left corner to the lower right corner. It was painted in sections, fusing wet paint into wet paint, very large works took as long as six weeks to complete. The exhibition also includes several woodcuts which he made collaboration with Shigemitsu Tsukaguchi, a master woodcutter in the ukiyo-e tradition of printmaking. 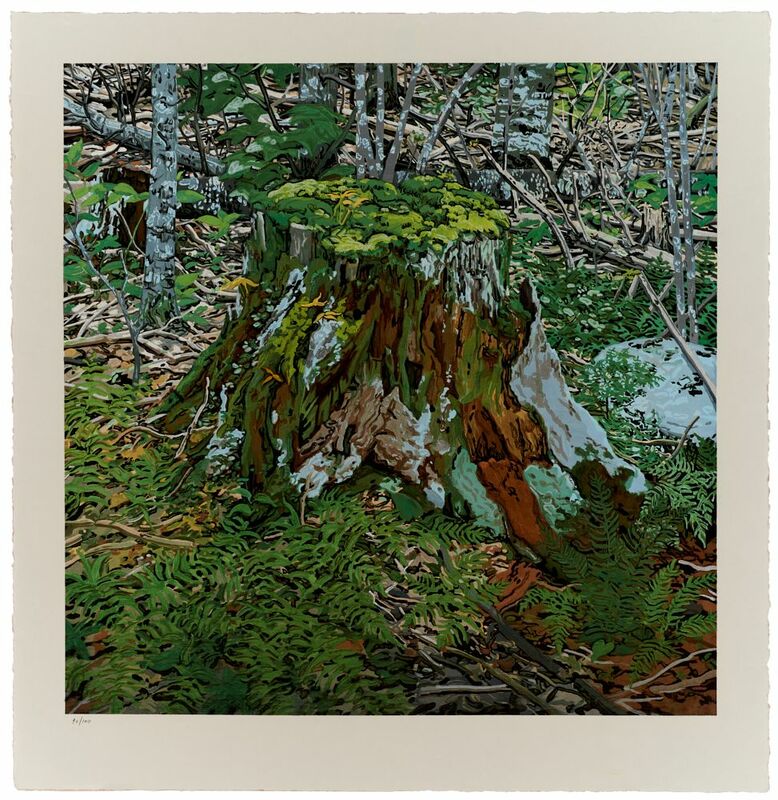 The woodcut medium, combined with Welliver’s imagery and technique, creates a powerful synergy, especially evident in the print Stump from 2000. Neil Welliver (1929-2005) was born in Milleville, Pennsylvania and first studied art at Philadelphia Museum College of Art and after at Yale University. Throughout his life he taught painting at many institutions including Cooper Union and Yale University. From 1966 to 1989 he was a professor of painting and chairman of the art department at University of Pennsylvania. In 2008, the Farnsworth Museum of Art in Rockland, Maine organized a traveling retrospective. A print retrospective was put together by Memorial Art Gallery, University of Rochester in 2001 which also traveled. His work is included in the permanent collections most leading American museums including, The Museum of Modern Art, The Metropolitan Museum of Art, Art Institute of Chicago, Hirshhorn Museum, Museum of Fine Arts, Boston and Colby College Museum, among many others.